Two California women were killed in a freak train accident. 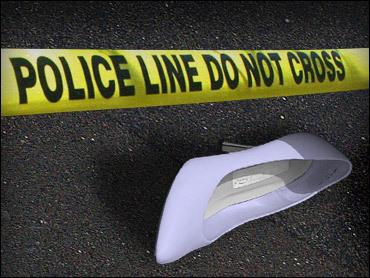 Police believe the high heel shoes they were wearing may have hindered their escape from a car stuck on the tracks, the Los Angeles Times reports. The victims, 18- and 23 years old, were in a car that became stuck on train tracks in Riverside early Thursday morning. They exited the car, but the train hit the car and pushed the vehicle into the women, crushing them. The women were on a bed of gravel. "It appears they were in high heels and having a hard time getting away quickly with the gravel they were walking on," Riverside police spokesman Steven Frasher told the newspaper. The women were not immediately identified. "This was really a freak situation," Frasher said. "The two women seemed to just get caught in a bad situation, and we don't know how much warning they had before the collision."